First it was Tinkerbell, the wonder dog—then Dolly and Maddie. When I was growing up, dogs were always part of my life and family. After graduating from the University of Minnesota, I settled into a career as a sound engineer for news and documentary productions. Then along came Bailey, my sweet, silly Old English Sheepdog. Bailey and I became a pet therapy team for Therapy Dogs Incorporated, visiting hospitals and nursing homes. Bailey loved the attention, and my role as a volunteer included acting as an evaluator for potential new therapy dog teams. This rewarding experience helped me learn about the subtleties of canine body language and human interactions. Seventeen years later, I still volunteer with my latest sheepdog, Lulu. When Lulu started to slow down and hesitate at the stairs, I knew I had to do something. I always need my massage sessions to break up the knots from carrying heavy equipment, so why not my dog? I searched for a certified canine massage therapist and booked our first appointment. Just as I’d hoped, after a few sessions, Lulu’s stiffness subsided and some of her old bounce was back! 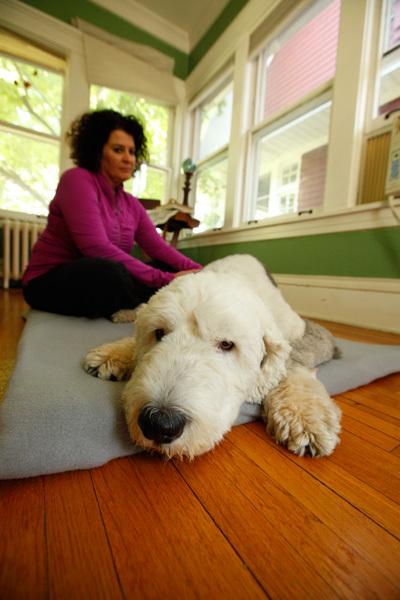 Inspired by the obvious benefits of massage, I wanted to learn more—to help Lulu and as many dogs as I can. I jumped in for a career change, enrolling in the Chicago School of Canine Massage and completing a 200-hour certification program that covers canine anatomy, physiology, palliative care, and various massage techniques. The modalities I studied include trigger point therapy, myofascial release, lymphatic massage, and pre- and post-surgical massage. I have obtained certifications in Levels 1 and 2, along with Pet CPR and First Aid. I am nationally certified through NBCAAM: The National Board of Certification for Animal Acupressure and Massage. 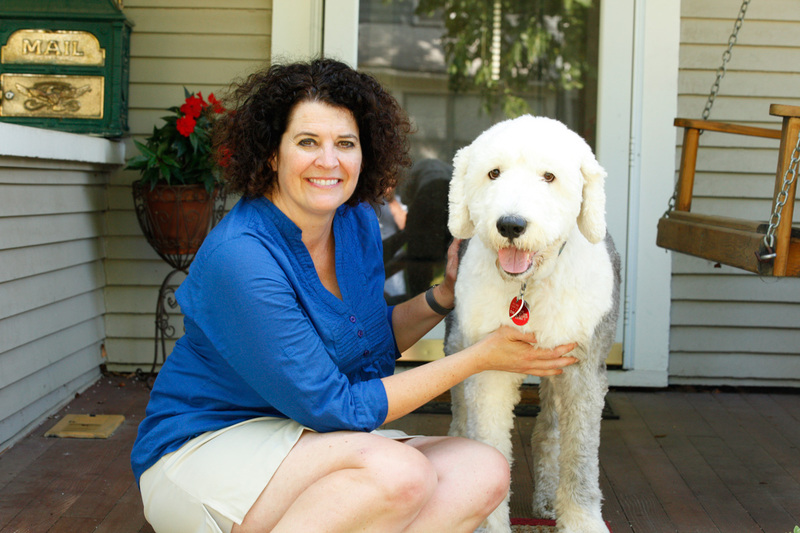 I am one of the three nationally certified canine massage therapists in Minnesota. When I’m not rubbing dogs, you might find me and my new pup Higgins strolling about the neighborhood in South Minneapolis, where we continue to enjoy our visits to Lake Harriet. Massage is one of the oldest healing arts. Massage is “touch with intent”: we use our hands to create various forms of movement and pressure, bringing improvements to health and well-being. It’s essential that proper techniques are employed to safely manipulate the soft tissue in the body. Not to mention that massage simply feels good. Dogs love massage!